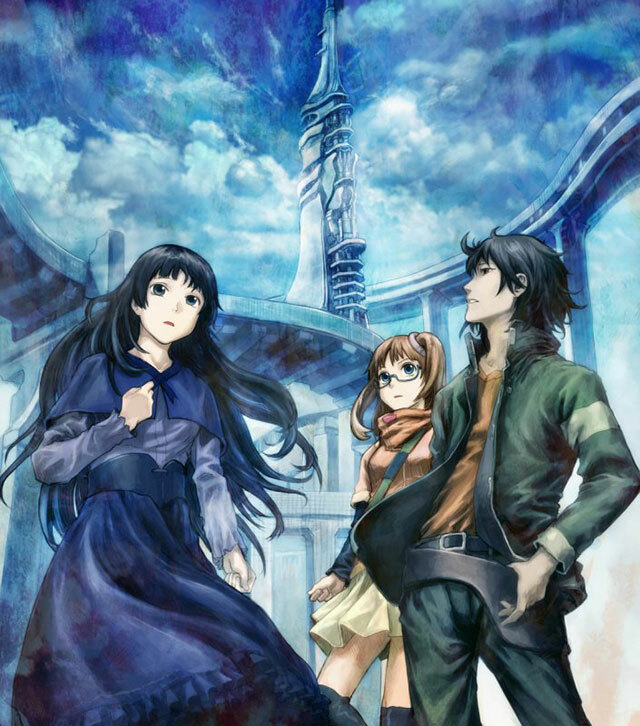 Key art for RErideD: Derrida, who leaps through time . Yoshitoshi ABe may not be a superstar anime creator, but he's amassed a cult following for a reason. 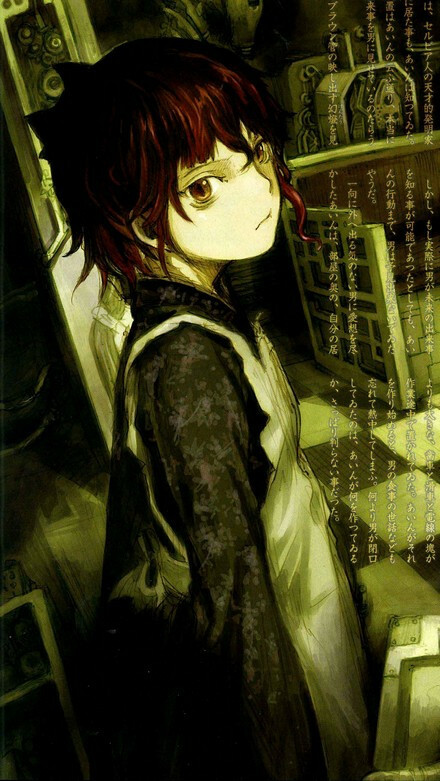 His projects are known for their avant-garde flair — the techno-dystopian nightmare Serial Experiments Lain , the existentialist fable Haibane Renmei , to name a few — which might be why it's been so long since we’ve seen his distinctive character designs come to life in animated form (2003’s Texhnolyze was his last anime project). The upcoming Fall 2018 TV anime RErideD: Derrida, who leaps through time features character designs and a screenplay from Mr. ABe, and came out to Crunchyroll Expo 2018 in San Jose, CA a few weeks ago to promote the series. I sat down with the artist for a round-robin interview at the convention, where he graced us with frank answers to many of our questions, including some quite honest accounts of how difficult it has been to get his independent projects off the ground. 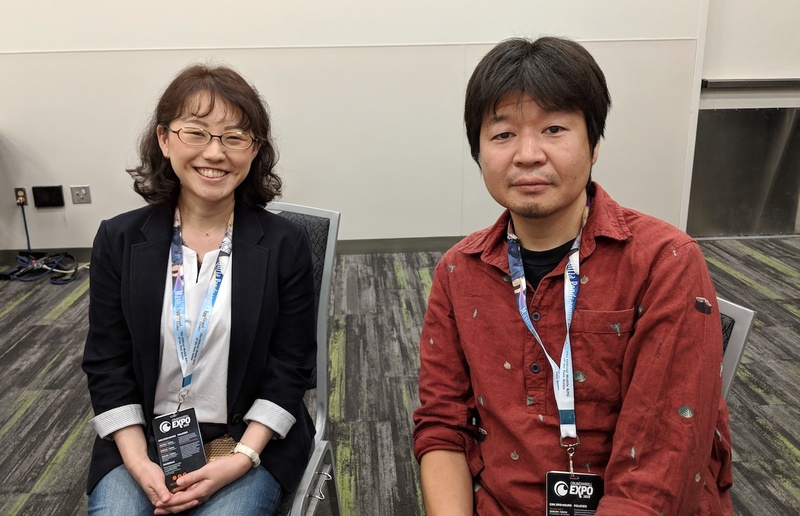 RErideD ’s producer Rie Ogura was present as well, providing insight into the studio Geek Toys, which is pivoting into animation production with this, their first anime series. Thank you to Crunchyroll Expo press and guest staff, interpreter Christopher Fanning, and of course, Mr. ABe and Ms. Ogura for the opportunity. Enjoy! Ani-Gamers (Evan): How did RErideD get started, and how did you specifically get involved, Mr. ABe? Yoshitoshi ABe: The director, Mr. Sato, actually started the project. And he called me in and asked me to do the character designs. Actually, the year before he said "I have something I'm thinking about working on, I think I want you to be involved." Originally I was just called in to do the character designs, but then I was asked to help develop the actual original work. And from there, I even ended up doing the screenplay for the series. RErideD was originally supposed to be an adaptation of Heinlein’s The Door into Summer . Anime News Network (Jacob Chapman): Ms. Ogura, since this is a premiere original project for Geek Toys, what made this an ideal project to launch a studio with? Rie Ogura: Originally, Geek Toys was a company that worked on live action projects in Japan — commercials and the like — and the studio decided they wanted to get into the anime business to challenge themselves with making an anime. I'm not sure why this particular anime. Maybe it’s just fate. But actually, it's because we wanted to pick something challenging. We wanted a challenging first project to work on. So I'd say it's passion. Producer Rie Ogura and illustrator Yoshitoshi ABe. Fandom (Karla Clark): There are so many science fiction and time traveling live action and anime series. What makes this show stand out from other time traveling shows? ABe: At first what Sato wanted to do was create a project based on Robert Heinlein's novel The Door into Summer . He wanted to make a straight adaptation of that. Then he brought me onto the project, and we ended up going a different route and making an original project instead. But if you ask why it's a time travel story, that's because it was originally supposed to be an adaptation of The Door into Summer . ANN: Invoking Derrida specifically is a very strong statement. He’s known for his theory of narrative deconstruction. Would you say that there's something deconstructive about this story that will be challenging for viewers? ABe: Sato is the one who picked that name. I'm not sure. When illustrating, I lay a number of lines on top of each other and create something that, to the viewer, has a more hazy, softer effect. And in anime, you definitely can't do that. Anime Feminist (Chiaki Hirai): Was there a story you wanted to tell when creating this work? ABe: When I'm writing, more than picking a particular theme and saying "this is the story," I tend to follow the flow. I kind of think, if I write it this way, how do I foresee it going, and what direction do I want to take it? In my opinion, the hero is very interesting because he ends up in a bad future, a future where things took a wrong turn and he really deeply regrets his own actions. And I'd say that was kind of drawn from my own feelings. Some of ABe’s artwork from Serial Experiments Lain . Ani-Gamers: Your artwork has a very particular style; it’s very soft and textured. It seems difficult to recreate in animated form. 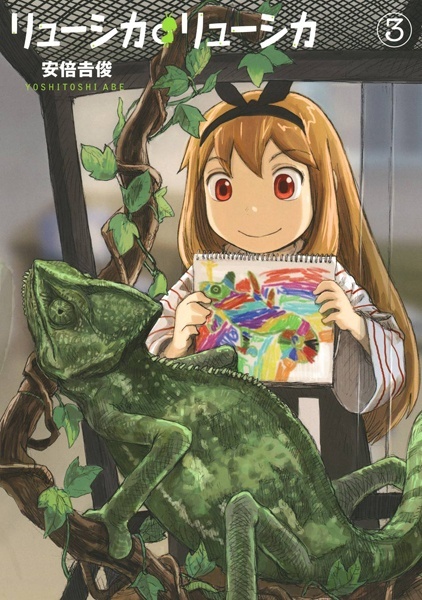 Do you work any differently when designing for anime vs. for manga or illustration? ABe: When I'm illustrating that's true, I end up drawing many, many lines instead of just having one defined line. I lay a number of lines on top of each other and create something that, to the viewer, has a more hazy, softer effect. And in anime, you definitely can't do that. In the character design phase, they took my drawings and made them more animatable. They collapsed them down to more of a one-line style that's easier to animate on the screen. So that's how that happened. For Ryushika Ryushika , what I wanted to do was capture a child's viewpoint since, as an adult, I had started to not be able to see things the way I did when I was a kid. Ani-Gamers: Do you do a lot of meetings with the anime character designer to iterate on those designs, or do you kind of just hand them off? ABe: This time I did basically kind of turn over my drawings and let him take a look at them. Eventually he came back with the character designs and we had a small discussion about that, but my personal art style is really hard to animate. So because of that, if I were to take it back and make some changes again, it would get hard to animate again, and it would undo everything he did. So I didn't really provide that much feedback. I've tried doing it myself, drawing the animation character designs where you have the character's face head on or in profile. I can't get it right. The ears aren't in the right place, things like that. (laughs) So I just leave it to the professional animators. ANN: It's been over a decade since you were involved in an anime production. What about this production seemed like it was the right time, and what have you been up to for these past few years? ABe: It was more like 15 years actually, and for six of those years, I've been working on manga. So I was focused on that. I did some anime planning, trying to create a new show. That took about one and a half years, and then ended up getting thrown out at the end. I spent some time planning a game as well. Then we ran out of money at the end. So that's what I've been doing. ABe’s manga Ryushika Ryushika . AniFem: Ryushika Ryushika is very different from your other works. It's less moody and very uplifting. What caused that thematic change? ABe: Actually I've made various different kinds of works. I've made some darker works and I've also worked on Niea_7 , so I'd say that I've done kind of a range. For Ryushika Ryushika , what I wanted to do was capture a child's viewpoint since, as an adult, I had started to not be able to see things the way I did when I was a kid. I kind of wanted to capture that. So it IS bright, but what it's really about to me is that when I was a kid, the surrounding world was kind of scary, and what I did was I put my imagination to work. It’s about making it a brighter place, taking your scary surroundings and using your imagination to survive, to make it something more palatable. So more than just being cheerful, I consider it a personal work in that aspect. Some of ABe’s artwork from Despera . 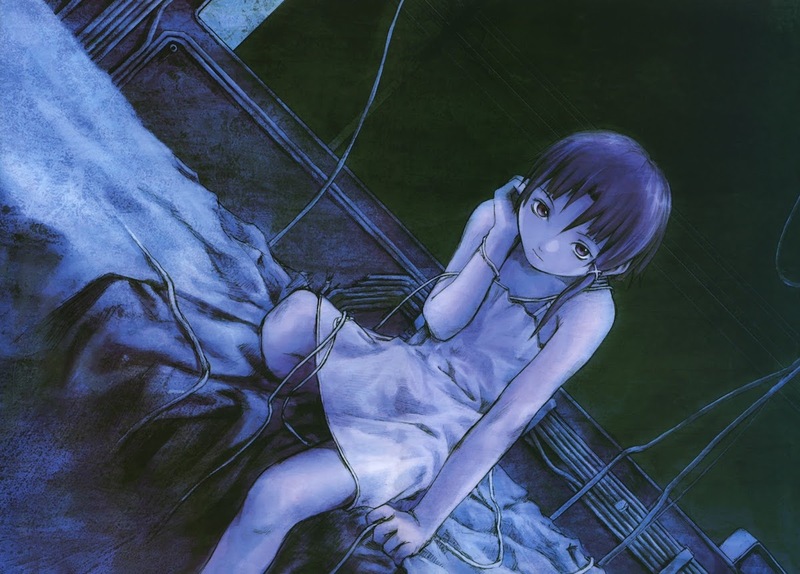 Ani-Gamers: Recently Chiaki J. Konaka announced that Despera (the spiritual successor to Serial Experiments Lain ) isn't dead, but it's stalled due to the current state of the anime industry and the difficulty in producing independent works. Could you talk about the status of Despera and those difficulties? ABe: We did put out a book for Despera but we weren't able to actually get it completed as an anime. Nobody ever asks about it in Japan, but every time I come to America, everyone's always asking about Despera ! It's not that big a topic of conversation in Japan, but I am glad when people ask about it. It makes me happy. We've had trouble bringing a real shape to the anime but we actually might discuss making the anime next year. Ogura: Is that OK for you to say? ABe: Probably, it's kind of decided at this point.